Adding 30,000 EVs to Georgia Roads adds $914 Million in economic benefit over next 3 years! 1). $845 million in incremental sales revenues: Using a constant $47,000 EV selling price generates $1.5 Billion in sales revenues for 30,000 new EVs vs. only $600 million if just 12,750 new EVs are sold with the elimination of the $5000 ZEV tax credit. Deduct another $75 million for the $2,500 EV tax credit/10,000 per year/3 year tax incentive lifeand the net is $845 million in higher auto dealer sales for EVs with a $2,500 capped EV tax credit. 2). $63 million in incremental Ad Valorem tax collection: the EV higher sales price and higher EV sales (30,000 vs 12,750) yields almost $63 million more in Ad Valorem tax which goes right into the State Coffers. The per vehicle Ad Valorem alone exceeds the tax credit ($3,650 vs. $2,500) adding $1,160/EV in net Ad Valorem! 3). Road Use Fees would be $6.3 million higher. If the current House version of the Transportation Bill passes and a $200 road use fee is enacted and Georgia’s EV fleet grows to 36,600 vehicles, the state generates $19.7 million. Should the Georgia Senate see a more reasonable approach and step up the Road Use Fee over the next three years to $100/$150/$200, and 30,000 new EVs are added to Georgia’s roads (56,350 total), that generates $26 million or +$6.3 million more. This study was reviewed March 17th with Georgia State Senator Brandon Beach (District 21), Senate Transportation Committee, Secretary and Chair, Senate Science and Technology Committee. Senator Beach represents Alpharetta GA, the Technology Center of Georgia and is CEO of the North Fulton Chamber of Commerce. 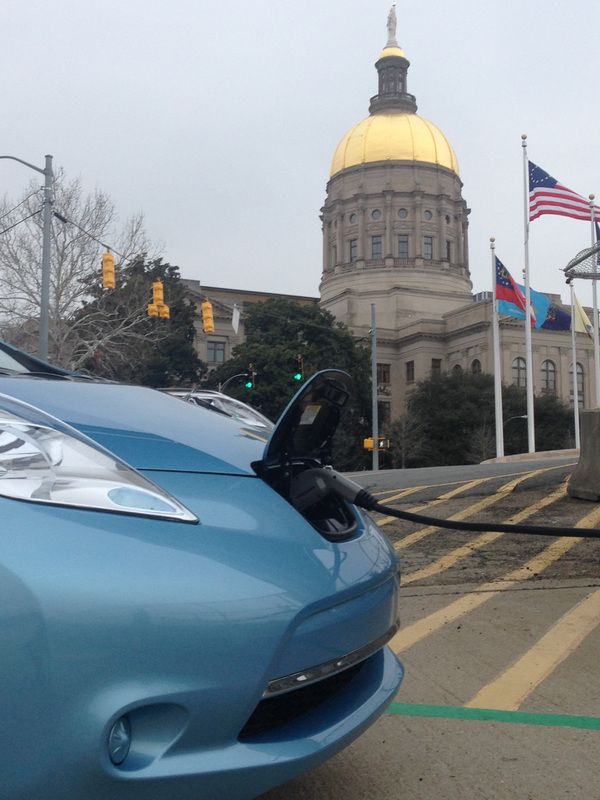 As the Georgia 2015-16 Legislative session counts down to its planned April 2nd conclusion, let’s hope the Senate and House can agree on an EV Tax Credit that makes sense for Georgia! Categories: #ElectricVehicles, #GeorgiaStateLegislature, #TaxIncentives | Tags: #Economic Impact, #electricvehicle, #Georgia HB 170, #Georgia State House, #Georgia State Senate, #taxcredit, Georgia | Permalink.